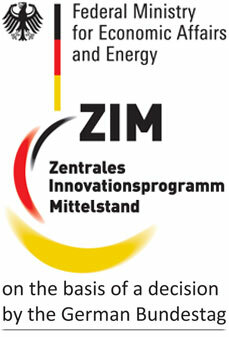 From June 04th until 05th, emtec Electronic GmbH will participate at the "Future. Forum Paper" – the Austrian Paper Conference with trade show for pulp and paper industry in Graz. on 18 February 2014 .
on 12 February 2014 .
on 21 January 2014 .
on 21 August 2013 . Emtec Electronic GmbH has taken over the sales and service for the Technidyne products in Germany, Austria and Switzerland with immediate effect. on 24 April 2013 . In order to be ready for an dynamic and accelerating market in India, we are glad to announce we have been able to find a further sales representative in that area. Herewith we would like to announce that we have separated from the company Precisa International (Shanghai) Co., Ltd. as a sales & service agent in China. In fact we have now chosen Jiu Mao Trading (Shanghai) Co.
on 12 August 2010 .
on 15 February 2010 .
on 04 November 2009 . Since October 2009, Mr. Lutz Wolff has been reinforcing the Emtec sales staff. Internet Web-Site of "emtec" in a new design. on 20 August 2008 .
on 16 May 2008 .
on 01 November 2006 .
on 02 June 2006 . The newly developed FPA - Fiber Potential Analyzer (AFG Analytic GmbH) is added to the product portfolio. 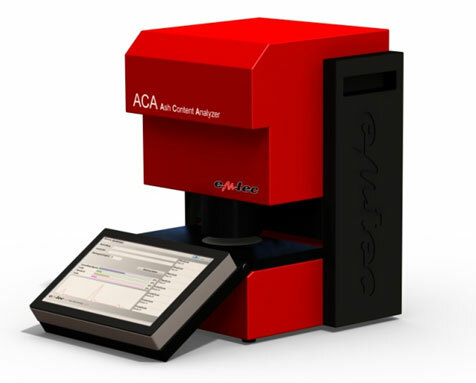 The FPA is an Emtec development and stands for a new era in fiber Zeta-potential measurement. on 01 June 2005 . Since January 1, 2005 all Emtec instruments have been delivered with the new software system "Emtec Measurement System". on 01 February 2005 . Introduction of the new EMS "Emtec Measurement System" software system for all Emtec and AFG devices including an automatic interpretation of the curves/curve evaluation and parameter calculation and uniform appearance. on 02 October 2004 .
on 01 October 2004 . With effect from October 2004, the sale of the new streaming potential measuring instrument CAS – Charge Analysing System of AFG Analytic GmbH has been taken over by Emtec. on 02 June 2004 .
on 01 February 2004 .
on 01 June 2003 . Emtec took over the world-wide sales of the Emtec instruments EST12 and WSD. Practical introduction of the "Module PEA - Print Evenness Analyzer"
on 01 February 2003 . 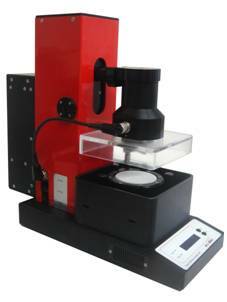 Introduction of the new "Heat Shrinkage Analyzer - HSA"
on 01 June 2002 . First presentation of the new "Module PEA - Print Evenness Analyzer"
on 15 June 2001 .
on 01 June 2000 . Presentation of the new WSD for measuring the dynamics of wet stretch as stand alone-device. on 01 June 1999 . Presentation of "The Grüner and Baumeister Measuring Method" for investigating the short-term interactions of coating color to coating base paper in the with dynamic contacting under high shear and pressure pulse". on 01 January 1999 . Presentation of a new type of HVL module for exploring the penetration of highly viscous liquids (adhesives, offset printing inks, etc.) into paper and board. on 01 December 1998 .
on 01 June 1998 .
on 01 January 1998 . Beginning of an intensive scientific cooperation with the Institute for Paper, Cellulose and Fibre Technology of Graz Technical University. on 01 December 1997 .